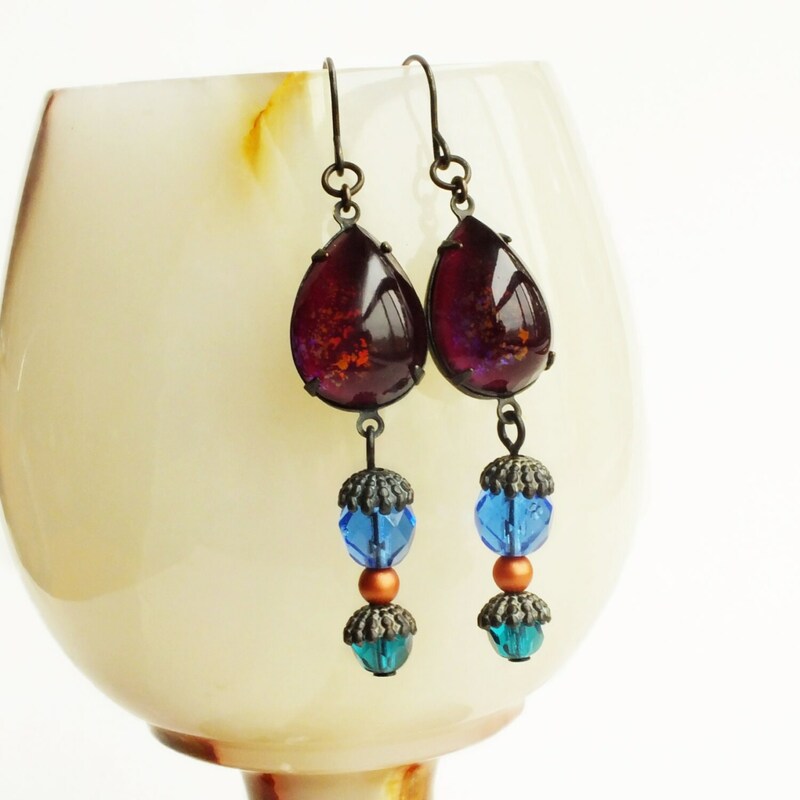 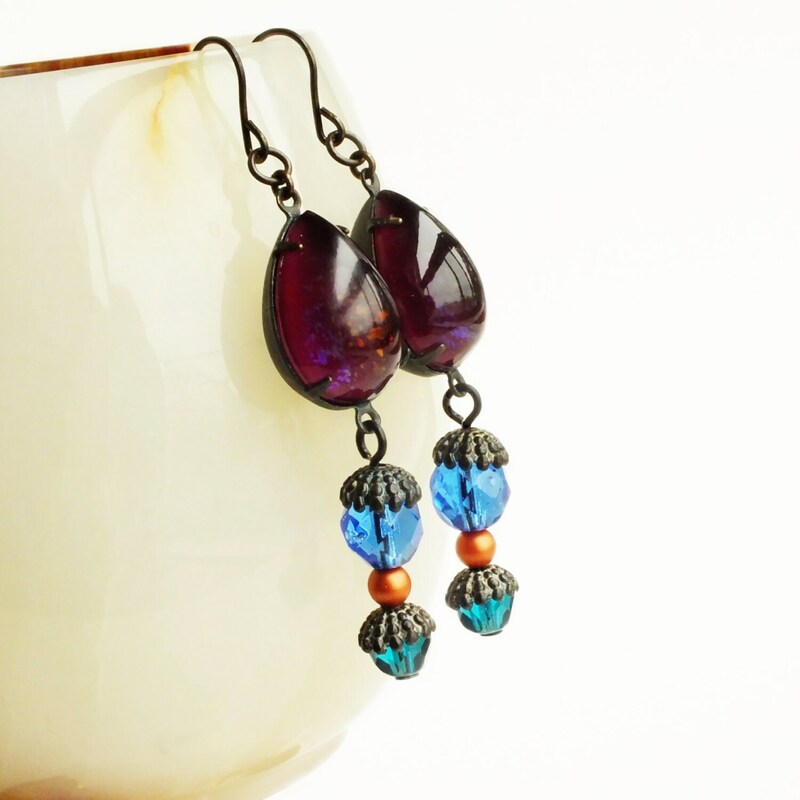 Handmade purple blue glass dangle earrings with vintage glass teardrops. 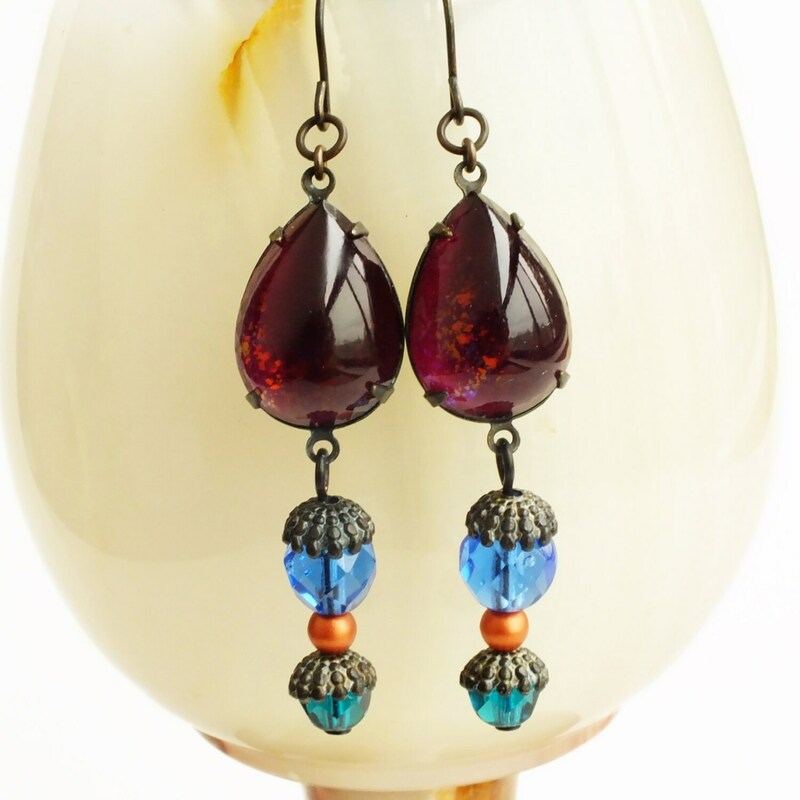 Genuine vintage glass cabochons and beads. 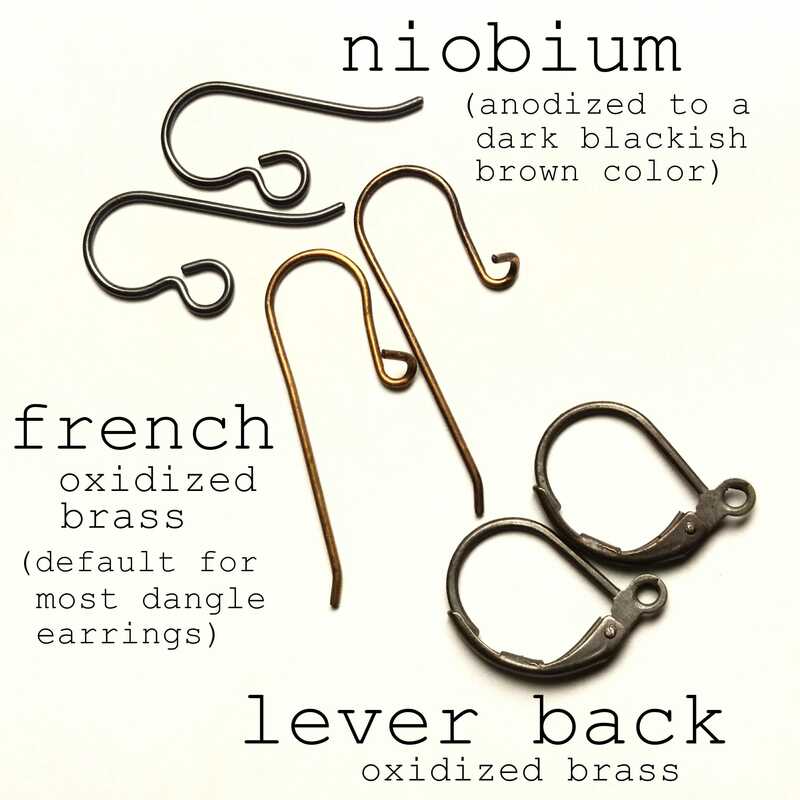 US made antiqued brass settings, bead caps and oxidized brass ear wires. 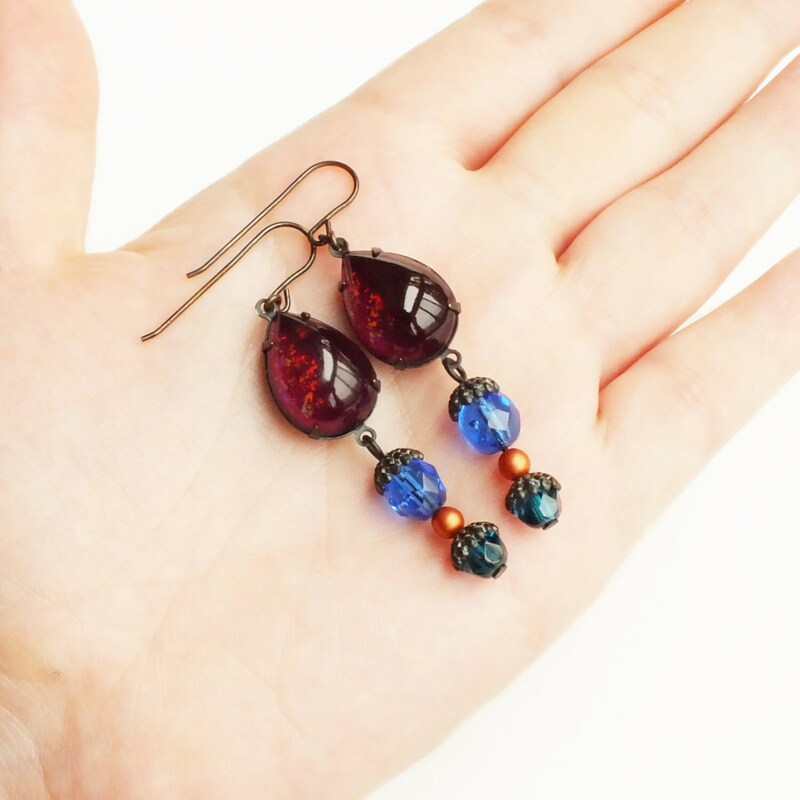 Burgundy drop earrings made with dangles of large vintage teardrop glass cabochons I reverse painted a dark plum/purple with shimmery color-shifting nail polish glitter flakes. 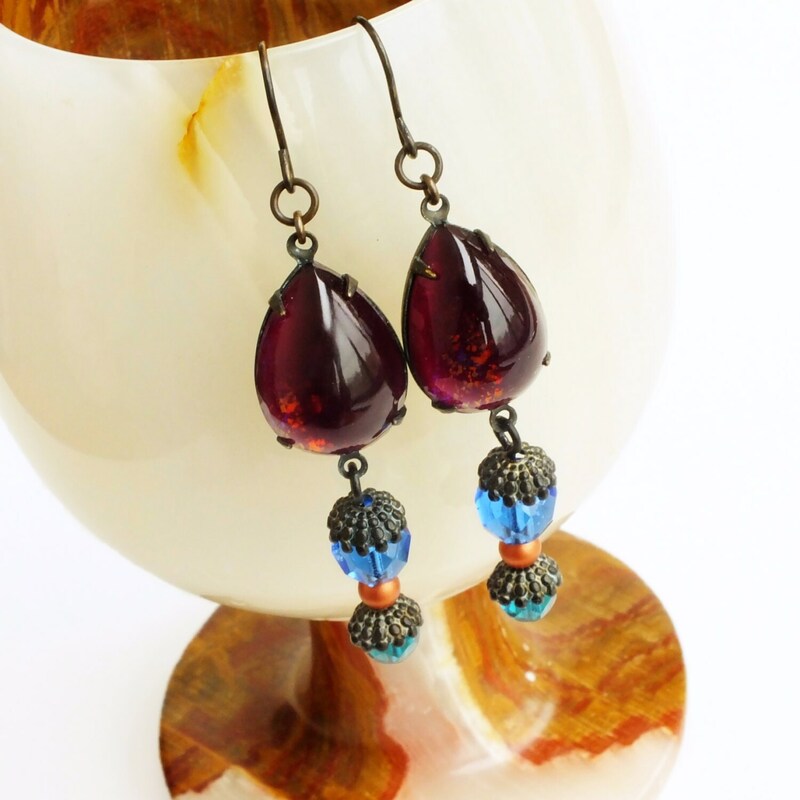 I set them in antiqued brass pronged settings adorned with vintage blue, teal and matte copper glass beads with weathered brass bead caps.